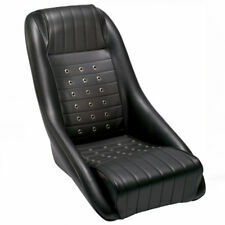 Original classic Corbeau GT reclining seats, tilt forward for use in a 2 door. PART NUMBER:DA7310. - A SPECIALISED VERSION OF THE RRS THE LOW BASE HAS BEEN DESIGNED FOR DEFENDER OWNERS. - THE RRS HAS THE LATEST IN STYLING, COMFORT AND SAFETY. MADE FROM VINYL FOR THAT BEAUTIFUL CUSTOM FINISH. Stainless Steel Series & Defender Tailgate Antiluce Cotter Drop Latches - DA8200. Bearmach Discovery & Range Rover Rear Prop Shaft Coupling Doughnut - TVF100010 slippynoxx(3541). Selectors & Yoke Assembly. Corbeau Sportline RRS Low Base Seats. Get up-to-the minute styling and the ultimate in comfort and safety with these Corbeau seats. This is a revised version of their RRS seats. The low Base has been designed specifically for Defender owners. Corbeau seat type: The Corbeau Revolution XL is part of the Corbeau Motorsport range. CORBEAU REVOLUTION X SYSTEM 1 XL FIA MOTORSPORT BUCKET SEAT. The Corbeau Revolution System 1 XL Motorsport seat is the latest designed composite shell system. Features of the new Corbeau RS2 Reclining Sports Seat New to 2018 with Corbeaus Sportline Range. Not sure if this is the right product for you?. Compatible for use with 3 or 4 point harnesses. Professional advice. Wind Deflectors. Lamp Guards. Roll Cages. Dog Guards. Chequer Plate. Land Rover Defender Side Facing Seat OEM Individual Rear Lap Belt - MXC5495. Dashboard & Centre Consoles. Fuel Tanks & Jerry Cans. The Pro Harness Range caters for a wide range of generic & specialist applications. Available in a large range of colours; BLACK, BLUE, RED, Luminous YELLOW, ORANGE, PINK, PURPLE, SILVER, CAMO, WHITE. Corbeau released their new range of Sportline seats in 2011. This new range shows that Corbeau are still the market leaders in the seating world. This stunning Corbeau RRB reclining sports seat has the blend of a full bucket seat and reclining seat in 1. Corbeau seat type: The Corbeau Pro Series is part of the Corbeau MOTORSPORT range. CORBEAU PRO SERIES X SYSTEM 1 XL FIA MOTORSPORT BUCKET SEAT. 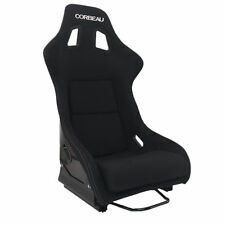 Pricing: Product pricing is for a single Corbeau Pro Series System 1 Motorsport seat. New for 2018 the Evo RB is the latest addition to the Corbeau Sportline reclining bucket seat range. Replacing the outgoing Boss Evo seat, the Evo RB incorporates popular design features from other Sportline Seat models in our range. It is ideal for installation where space is limited and is a great alternative to the ever popular Corbeau Club Sport Seat. GRP Composite Shell Construction. The RRS Low Base seat has been specially designed for vehicles that have a high-ground clearance and raised cabin. Examples include Land Rover Defenders, Jeep Wranglers and most of the 4×4 market. RRS Low Base is designed for both harnesses or your standard inertia seat belt. We know how uncomfortable and annoying it can be to use traditional harness belts in your daily driver. Corbeau Harness Belts are made with your comfort and safety in mind. All our Harness Belts are equipped with military grade nylon webbing and pressure reducing waist pads. You are buying 1 X Driver Side Sportline RRB Reclining Seat. RRB is designed for both harnesses or your standard inertia seat belt. Fitting RRB. Talk to our expert sales team about what fitting options are available to you. The Evo Boss’ DNA can be traced back to the very popular Corbeau Boss seat previously manufactured. Their result is this classic retro look, Sports Recliner with its enhanced side support, cleverly styled lumber and low sided bolster cushion. The Corbeau Sprint, entry-level competition shell seat has not gone unnoticed. Corbeau seat type: The Corbeau Sprint is part of the Corbeau Motorsport range. 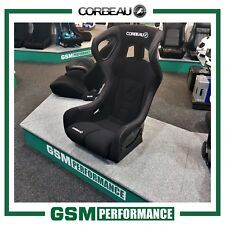 CORBEAU SPRINT X SYSTEM 1 XL FIA MOTORSPORT BUCKET SEAT. The reclining seat is bang up to date and, like all Corbeau seats, is available in lots of bespoke trim options on special order. The Corbeau RRS is a stunning seat closely based on the design of the Audi RS cars. 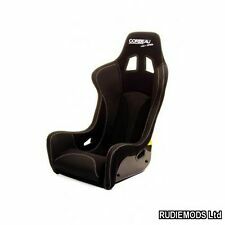 Corbeau Club Sport Bucket Seat - STD Standard Size - SINGLE. Club Sports are designed for both harnesses or your standard inertia seat belt. All the fun at a fraction of the price of other racing seats. Club Sports are designed for both harnesses or your standard inertia seat belt. All the fun at a fraction of the price of other racing seats. Includes Steel Side Mounts. RRS Low Base has a huge variety of fabric options. See below for a breakdown of what is available for this seat. Reclining Bucket Seat. You are buying 1 XBlack Vinyl Reclining Bucket Seat. RRS Low Base is designed for both harnesses or your standard inertia seat belt. 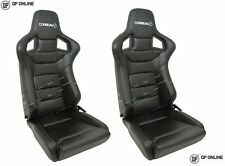 PAIR OF CORBEAU PRO SERIES X MOTORSPORT BUCKET SEATS. The Pro-Series X is a new design improving safety, style and comfort to make Corbeau's best seat without head protection even better! The Pro-Series X is the preferred choice of motorsport teams and enthusiasts worldwide where space is at a premium and a complete head protection seat may not be easily installed. PART NUMBER:DA7312. - A SPECIALISED VERSION OF THE RRS THE LOW BASE HAS BEEN DESIGNED FOR DEFENDER OWNERS. - THE RRS HAS THE LATEST IN STYLING, COMFORT AND SAFETY. MADE FROM LEATHER AND ALCANTARA FOR THAT BEAUTIFUL CUSTOM FINISH. PART NUMBER:DA7311. - A SPECIALISED VERSION OF THE RRS THE LOW BASE HAS BEEN DESIGNED FOR DEFENDER OWNERS. - THE RRS HAS THE LATEST IN STYLING, COMFORT AND SAFETY. MADE FROM DAKOTA LEATHER FOR THAT BEAUTIFUL CUSTOM FINISH. Designed exclusively for Corbeau Seats. FIA Approved. 6mm Thick Alloy Construction. Supplied As A Pair. We cannot be held responsible if the product is not suitable for use outside the UK. We give a 1 year warranty on all goods unless otherwise stated - such as ex-demo item which may only have 3 or 6 month warranties. HEXA is only available in one size. 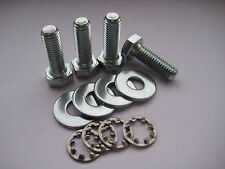 All mounting bolts should be secured to 30Nm and checked regularly. You are buying 1 X KEVLAR / CARBON Black Cloth Bucket Seat. Added Extras found below. Silver 35 Degree or 90 Degree £90. Designed to maximise legroom by utilising the angle of the rear bulkhead. Not sure if this is the right product for you?. We have finance available on all orders over £300.00. Options start from 12-48 months at 12.9% with deposits from just 10%. New to 2018 to the Corbeau Sportline Range. This is the new Sportline Evo RB reclining sports seat which has replaced the ever so popular Boss Evo seat. The Evo RB is new to 2018 with an up to date and stylish new design. 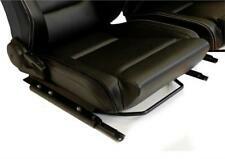 You are buying 1 X Passengers Side BOSS EVO 2 Reclining Seat- Black Vinyl Seat with Black Stitching. Reclining Bucket Seat. Fully reclining to suit your driving style and forward tilt to make it the perfect seat if you still need to get people in the back of your vehicle. How do I fit Corbeau Lotus specific bucket seats?. 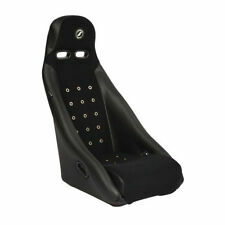 Corbeau have made these Lotus specific bucket seats are made with 4 instalation points on the base of the seats. The easy answer is yes for Lotus cars. Corbeau GT4 Retro Classic Fixed Bucket Seat - CLASSIC FORD MINI - BLACK VINYL / BLUE Cloth Centre. The GT4 has a couple of design options. See below for a breakdown of what is available for this seat. Pair of Corbeau seats in full leather. Bought for a project several years ago and never used. Direct from Corbeau these would cost £1300. Selectors & Yoke Assembly. Wind Deflectors. Lamp Guards. Roll Cages. Dog Guards. Chequer Plate. Land Rover Defender Side Facing Seat OEM Individual Rear Lap Belt - MXC5495. Dashboard & Centre Consoles. The Corbeau Revenge X System 1 Motorsport seat is the latest design from the Motorsport Team at Corbeau. The Revenge X features deep sided supports, energy absorbing foam, five slot harness facility, a two-piece thigh coil system for increased driver comfort and is tested to the FIA specification. CORBEAU SPORTLINE RRB - Black cloth with black vinyl. The RRB also uses a high quality jacquard fabric which not only has the feel good factor, but is hard wearing and durable. Use with 3 or 4 point harness. Bucket Seat Mounts FOUR BOLTS Side Brackets Sparco Corbeau OMP Cobra, Rally! !